All colors on Products by Burgschneider were dyed by hand. Please note that this can lead to varying colors between delivered products and photographies on our website. We deliver the Burgschneider Gift Cards as PDF-files via Email. For slim fit choose a size where your chest circumference lies 1.9 - 3.1 inches under the declared chest measure. For normal fit choose a size where your chest circumference lies 3.1 - 4.7 inches under the declared chest measure. For wide fit choose a size where your chest circumference lies 4.7 inches under the declared chest measure. Please note that pure cotton fabrics shrinks when washing (Tab Fabrics). 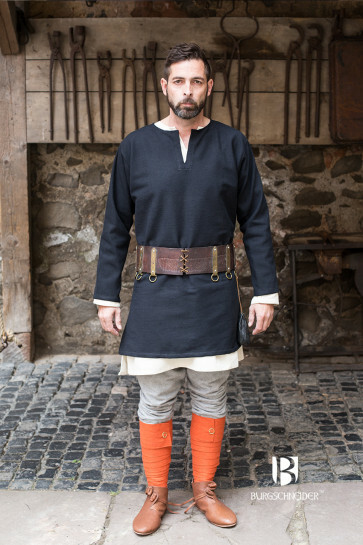 The heroic clothing for medieval reenactment and live action role play. Event, Festival, Convention, Stage, Film, and beyond. 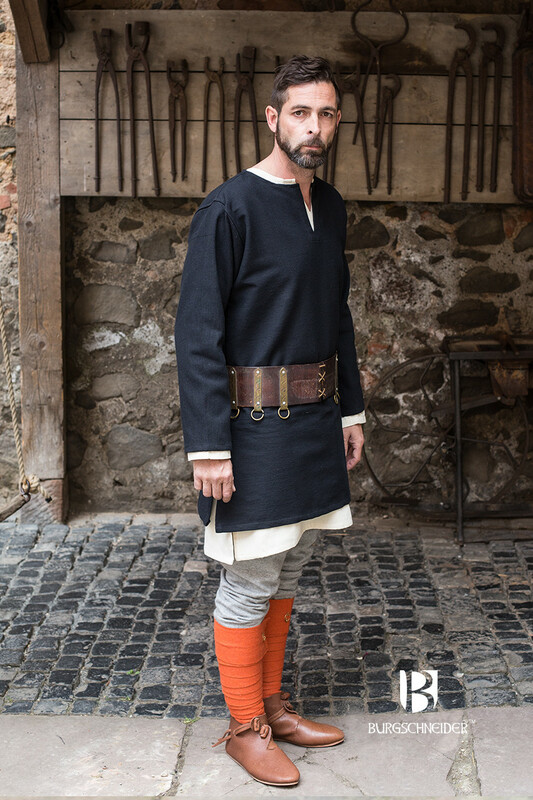 The Burgschneider team designing and producing historical and fantastic fashion for adventurers for nearly two decades. Return purchased items and get a full refund.